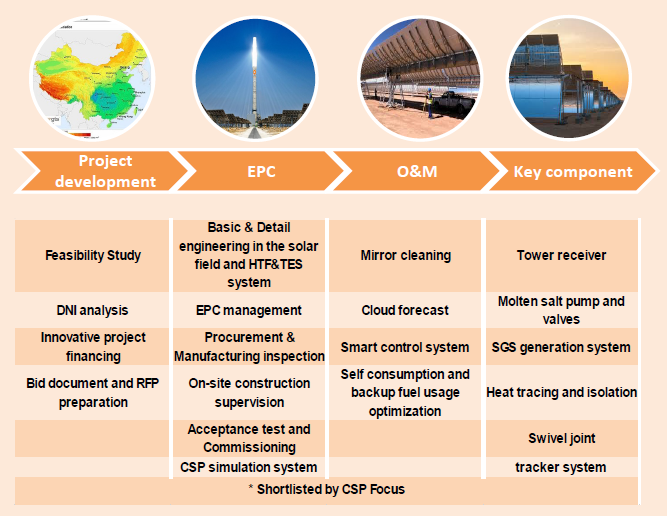 Can China’s Concentrated Solar Power Developers Deliver the National Program? 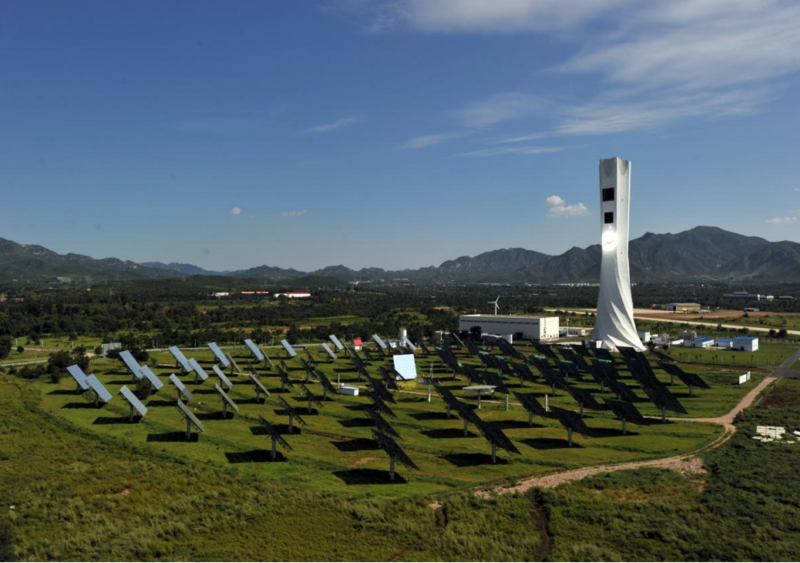 China’s CSP industry is going through a steep learning curve. 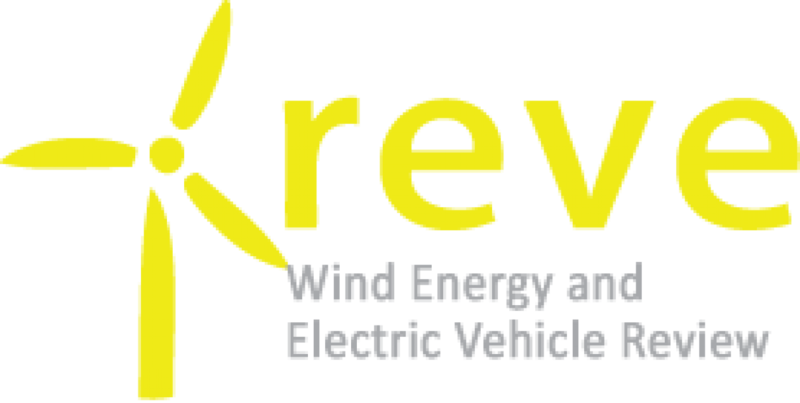 Two years ago, in September 2016, the National Energy Administration (NEA) selected 20 CSP demonstration projects totaling 1.35 GW and committed to a Feed-in-Tariff (FiT) of 1.15 RMB/kWh for plants that come online by the end of 2018. “After implementation there was some hesitation and now we have new timetables. 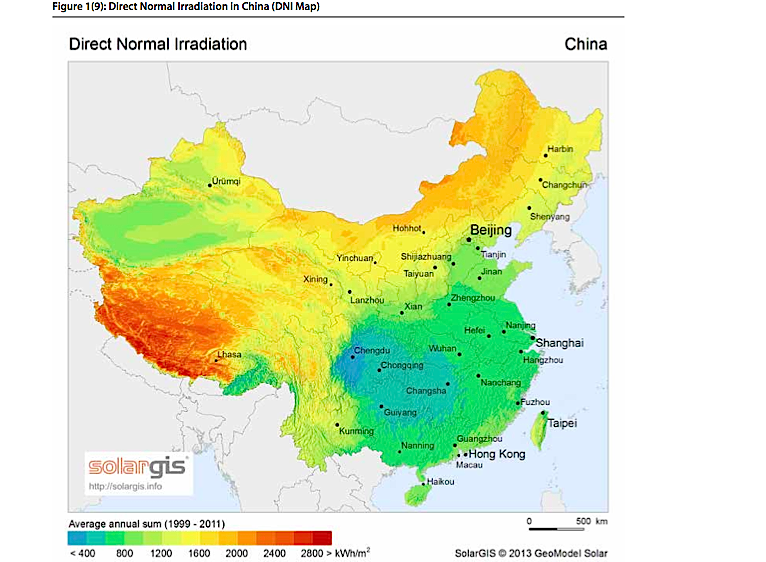 In February, investors submitted a promise letter to the NEA and the projects were cut from 20 to 16,” Fengli Du, secretary general at China National Solar Thermal Alliance said in a recent webinar by ATA Insights. Five projects were promised to be operational before the end of 2018, nine before end of 2019, and two before end of 2020, she said. Although NEA has extended the construction deadline to December 2020, it will establish an electricity price reduction mechanism for overdue projects. The solar thermal alliance recently carried out a survey of the 16 projects and found that only four were likely to be completed by the end of 2018, according to Du. These are the 50 MW CGN Delingha parabolic trough plant, the 100 MW Shouhang Dunhuang tower, the 50 MW Supcon Delingha tower, and the 50 MW Yumen Xinneng beam-down tower project. 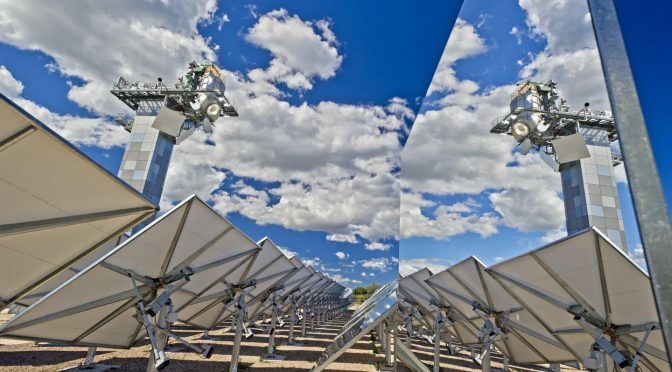 CGN’s 50 MW Delingha has already been connected to the grid in June, becoming the first large-scale CSP plant to come online in China. The project will start commercial operation by the end of September. 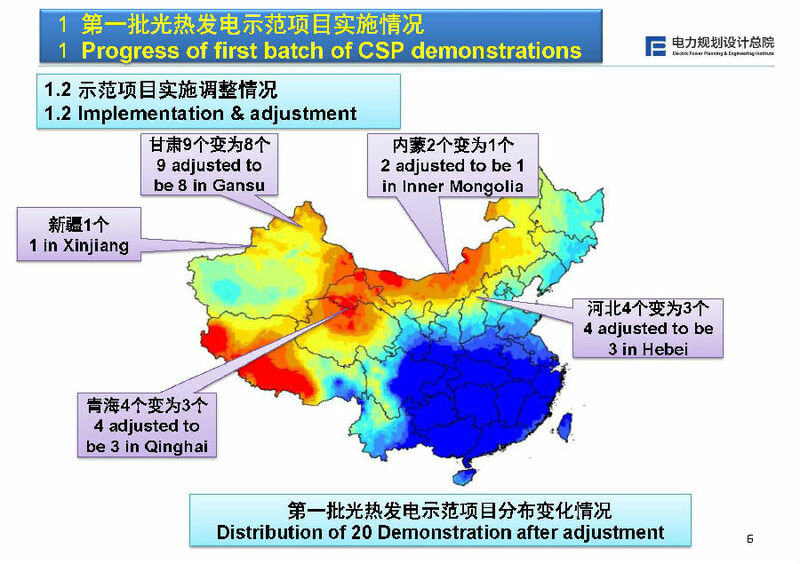 China’s CSP demonstration program initially garnered a great deal of attention, attracting 111 projects with 8.9 GW of capacity, according to Du. The lion’s share was parabolic trough (60 projects amounting to 4.43 GW), followed by tower technology (36 projects amounting to 3.32 GW). Despite the unforeseen hiccups, some developers are already planning for phase two of the program. “We are actively preparing for the second batch of the demonstration scheme,” according to Andy Zhao, key account general manager at Supcon. Supcon is involved in three CSP projects. The company is the developer, project owner, EPC contractor and technology provider for the 10 MW Delingha tower project that is operational, and for the 50 MW Delingha tower demonstration project. It is also the technology provider and solar field supplier for Power China’s 50 MW Gonghe tower project, which should be commissioned by June 2019. In addition, the Chinese developer has completed feasibility studies for two 100 MW projects in Yumen, two 100 MW projects in Hami, and a 100 MW project in Dunhuang, Zhao reveals. Egoitz San Miguel, business development and R&D specialist at China Shipbuilding New Power, said that many Chinese companies would like to introduce their own products because they have the capabilities. “They just need the knowledge to manufacture them, first for China and later for foreign markets. At the end, they aim to bring down prices and meet quality expectations,” explained San Miguel. He noted that China has windier conditions than the average CSP market and harsh winters, with temperatures descending to -20 ºC. This means developers must hurry to deliver as much of the civil works as possible before winter. Other challenges include steep land costs, which account for nearly 10 percent of investments, and high financing costs. “If we can decrease non-technological costs, CSP cost in China will be much lower,” said Zhao. According to Du, the Chinese government is now waiting to see the progress on the first batch of projects and how CSP will help in the whole energy mix.